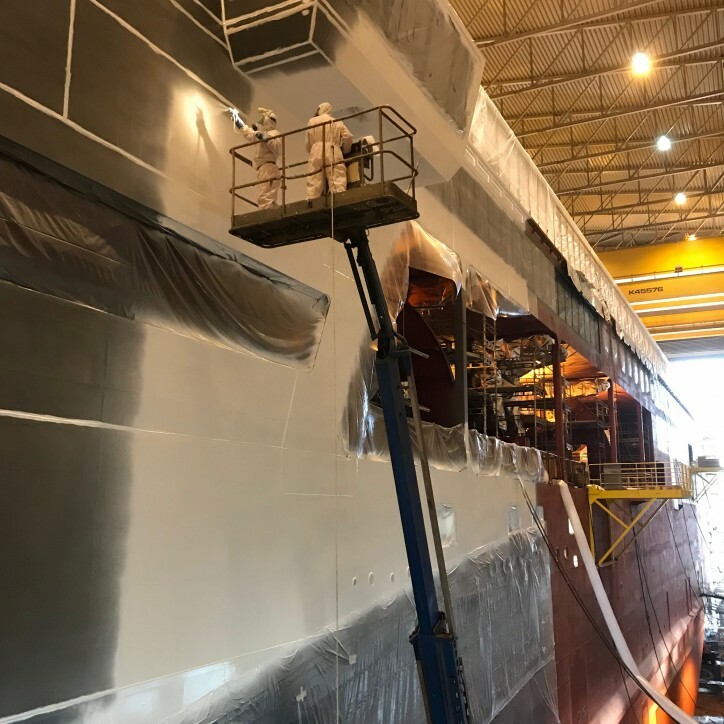 The progress of the 'Color Hybrid' (see also CruiseMapper) ship construction in spring 2019 has been steady, and the most visible is the painting process. The vessel is now getting prepared to be launched from the dock hall. 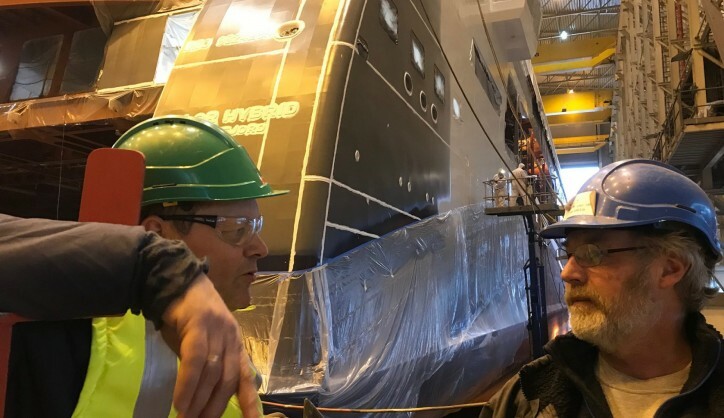 For a long time, Ulstein Verft's yard number 311, the 'Color Hybrid', has been hiding in the dock hall, or have been covered up to be painted. 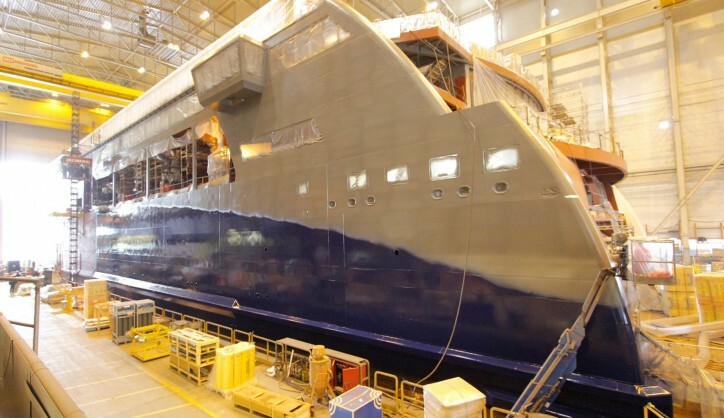 Caption: The port side sparkling in fresh paint. 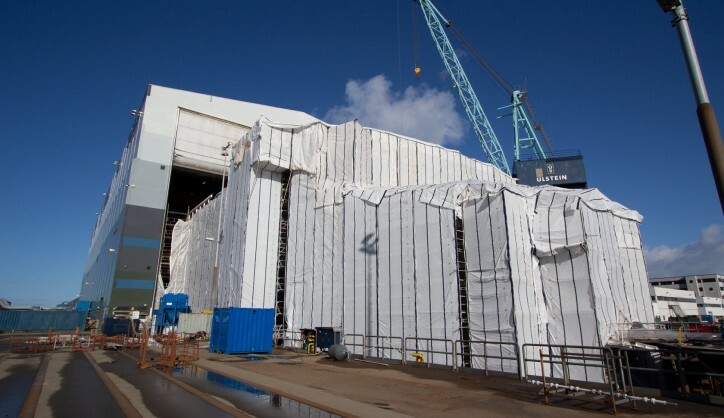 Caption: For a long time, the vessel's fore part has been covered up. 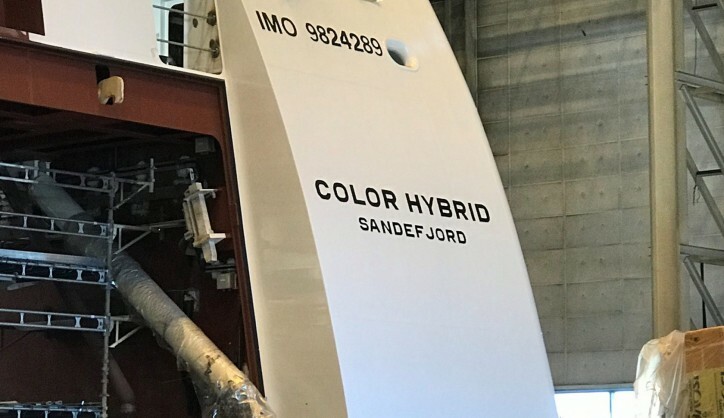 Caption: The 'Color Hybrid' is now standing out in clear colours. 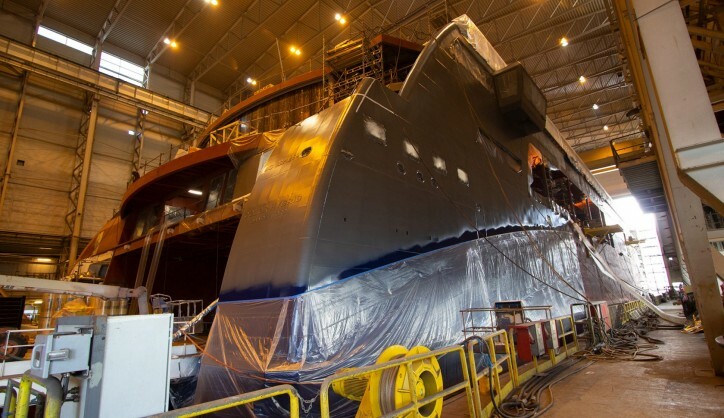 Caption: Ulstein and WestCoat paint responsibles attending the start-up of the paint process.